We welcome you to our Fall Open House going on now! NEW classes, quilts and Open House discounts through the weekend! At the Corn Wagon, the changing of seasons always sparks inspiration and the desire to move on to something new; a new skill, a new project, a new color palette and with the holiday's approaching a new season of giving. Our Fall Open House is brimming with all of the above. Our latest class schedule is hot off the press and includes more than we've had before! Hop on over to our website to see what will be happening in our classroom through the end of the year and register now before seats are full! 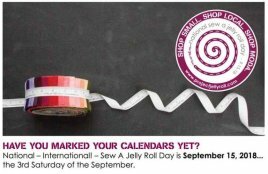 You'll find classes for new rulers and piecing techniques, fresh ideas using traditional quilt patterns and unique crafts such as the Jelly Roll Rug, primitive rug hooking and several must-have bags you'll want to make over and over again as gifts and for yourself! We're especially excited about our upcoming events offering a chance to gather and sew with our quilting community. As always we have samples on display at the shop. Quilts are always better in person, so we hope you can stop in for a visit. While you're here this weekend, enjoy Open House discounts such as 10% off regular class fees, 20% off class supplies and 25% off one in-stock, regular price item of your choice! A fresh take on a Corn Wagon classic! 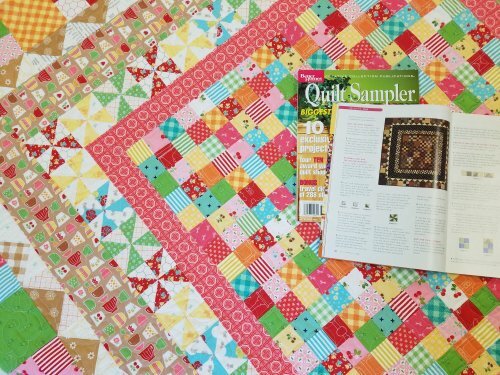 In 2003 our shop was published as one of Better Homes & Gardens Top 10 Quilt Shops. Little Prairie Houses, the quilt featured as our shop pattern in that magazine issue, was designed by Mary Jacobsen to celebrate Utah’s heritage. To mark 15 years since receiving that honor, Mary has revisited that popular pattern using a fresh new color palette. Now you can learn from Mary the techniques she used to piece those cute little houses surrounding a scrappy field of patchwork fenced by pinwheel blocks. Join us for this great skill building class and experience a traditional piece of quilt shop history in a new way. 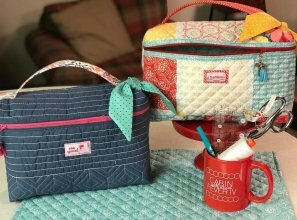 Sew up this easy pouch pattern using a store-bought, quilted placemat as your fabric and half the work is done before you even begin. This bag is made in just a few steps with personality and style! You’ll finish your pouch in class and want to make more! We’ve all seen them… and we’re all dying to make one! 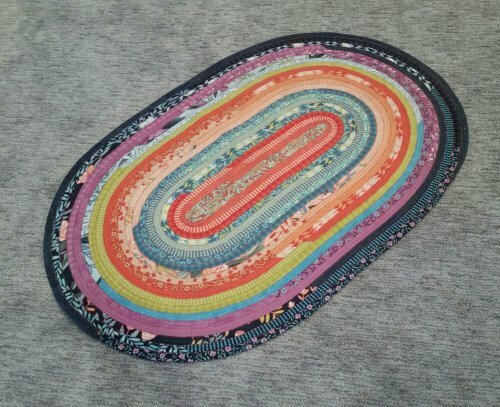 Roma Lambson, designer of the Jelly Roll Rug will be coming to Corn Wagon! We can’t wait to learn her technique for sewing up those adorable 30” x 44” rugs using a jelly roll and cotton batting strips. Some prep before class means you will have the chance to finish your rug with Roma’s help in class. Space is limited so don’t wait to sign up! September 17th - 25% off WOOL including all in-stock, regular price wool by the yard, by the bundle, by the ounce, by the spool and select wool kits! This delightful, weekly club is for anyone who would like to work on a hand stitching project while learning new hand stitching skills. We will learn a-stitch-a-week! This is a great opportunity to finish our own projects and relax with a fun gathering of sewing friends every Tuesday from 10:00am - Noon. No fee to join, simply pop in!